Banter, fun, and updates on us! We are in our second season together and are looking to gain steam to improve both our abilities and our standings nationally and internationally. 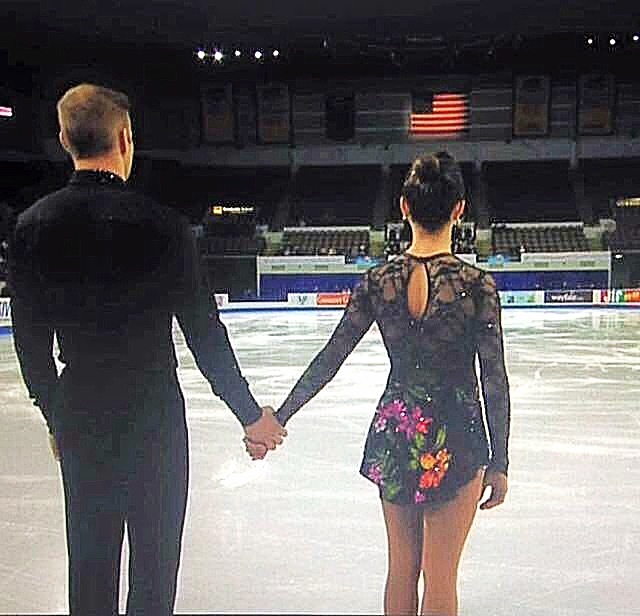 This year we started off our international journey in Italy at Lombardia Trophy in Bergamo (just outside of Milan). The competition didn’t go exactly how we wanted to, but that’s ok; mistakes are bound to happen and we still felt like we learned a lot from that event that we can use going forwards. Despite our performances, it was really cool to see the beautiful country of Italy and have all the amazing gelato, pizza, and pasta. Jessica had surgery on her right foot in the offseason to repair two torn ligaments, an injury on her landing foot that had been bothering her for years and had worsened last season. We spent many months slowly rehabbing the injury and taking the process even slower than instructed. Our goals are long term; we weren’t concerned with being 100% for summer competitions. However, once training resumed in full, it was clear that the injury was still lingering. Initial MRI reports showed that the injury was still there, but after two more MRI’s we found a different diagnosis. We decided to wait until after our trip to Italy to do anything about it. A little over two weeks ago Jessica underwent a minor procedure that will hopefully solve the problem once and for all. Luckily for us, she will be back on the ice next week and possibly full strength a week after that! It’s a good thing that Jessica’s recovery will be fast; shortly after the procedure we were notified of an invitation to Cup of China! This will be our second Grand Prix event, after attending Skate America last year in Milwaukee. Neither of us have been to China before and Jessica has never been to Asia at all! Needless to say, this trip to Beijing is unbelievably exciting for us. It’s amazing to get to go to China for competition, home of one of our favorite teams of all time, Shen and Zhao. China has really shown a great depth in pairs skating in the last couple decades and we are honored to be able to compete against their best teams. We keep realistic expectations for events like these and feel like we’ve accomplished something just to be selected to such a prestigious event. Nonetheless, we have set performance related goals and hope to put out our best possible programs there, both technically and presentation-wise. We look forward to this trip and hope to update you all throughout the future. Author adminPosted on October 14, 2016 4 Comments on Our First Blog!